Situated in Kuttanad popularly known as the rice bowl of Kerala, QST & R Block Kayals (backwaters) remind the visitor of the famous dikes of Holland. A striking example of the indigenous agricultural engineering know-how, here cultivation and habitation are made possible at four to ten feet below the sea level. For this purpose extensive land has been reclaimed from the backwaters and is protected by dikes built around it. A leisurely cruise along the canals here is a memorable experience. Kuttanad is the most beautiful backwaters region of Kerala. It is here that most of the snake boat races are conducted and a majority of the rice boat & houseboat cruises are scheduled. 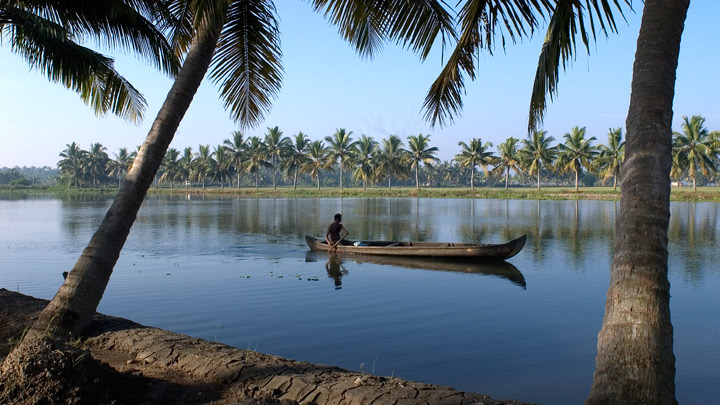 Kerala’s network of navigable backwaters stretches to over 900 km. These serene waterways are fringed by palm grove and paddy fields and offer a striking spectacle of the rustic life.